August 3, 2016 – British Airways has completed an 11-month major makeover of 18 of its Boeing 747s to give them the look and feel of their newest aircraft, which include the B787 and A380. Each jumbo jet now features a refreshed interior and state-of-the-art in-flight entertainment system – as well as 16 additional seats in Club World. 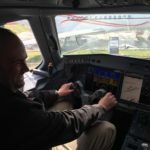 Troy Warfield, British Airways’ director of customer experience, said, “We have recently taken delivery of our 12th A380 super jumbo and have now have 13 Dreamliners in our fleet. However, the iconic Boeing 747s remain an important part of our fleet, that many of our customers love. 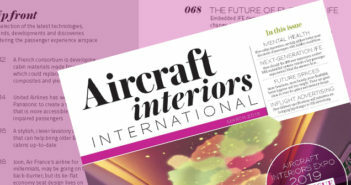 New carpets, seat covers and mood lighting have been fitted throughout each aircraft to match the new color pallet of the airline’s new A380s and B787s, including new seat foams and new style seat covers in World Traveller (economy) and World Traveller Plus (premium economy) to increase customer comfort. All 18 refreshed aircraft have also been fitted with Panasonic’s eX3 IFE system, which gives customers a choice of over 1,300 hours of entertainment including more than 130 movies and 400 TV programs on larger, high-resolution screens, capable of touch and swipe gestures, giving the system the familiar feel of using a tablet. As part of the upgrade, customers in World Traveller Plus now have access to a universal power socket at every seat, capable of accepting plugs from the UK, US and Europe. World Traveller customers also have their own personal USB socket to power phones and tablets.